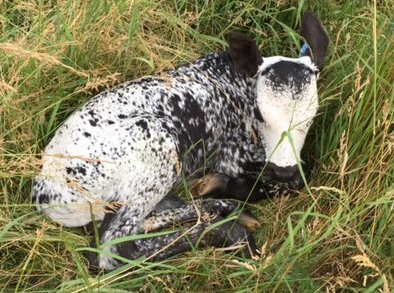 Dr. King’s Farms has earned a respected reputation of having some of the most impressive and rarest breeding stock in the country. 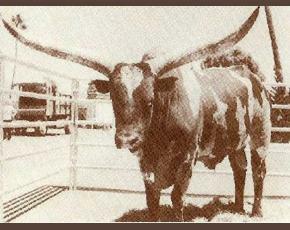 Ranchers from all over America have purchased our prestigious livestock. 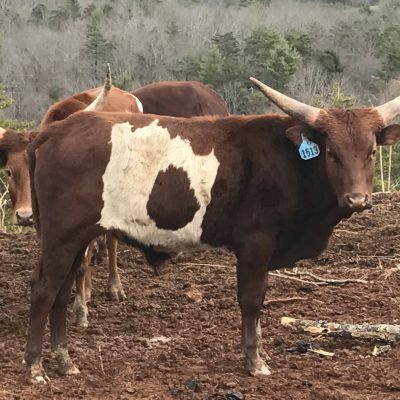 Dr. King’s cultural anthropology research and the desire to contribute to human health and longevity led to the introduction of this great animal to his farm. 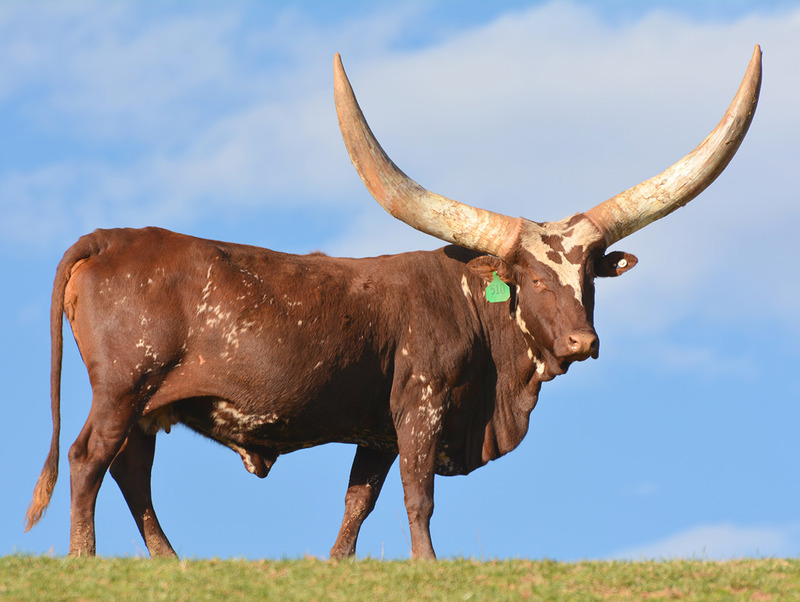 Native to Africa, this 6,000-year-old breed is called the “Cattle of Kings.” At one time they were used in commerce, and a chief’s wealth and prestige were measured by the number and quality of the Watusi they owned. When families asked for marriage dowries, the quality of the cattle presented was of utmost importance. 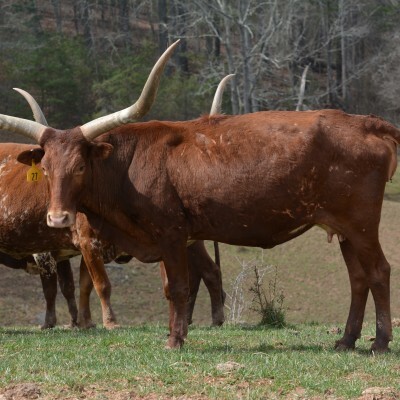 Dr. King was fascinated by the power of this animal’s nourishment and plans to study its milk products* and meats for their influence on healthy, natural, human growth factors and their anti-aging potential. 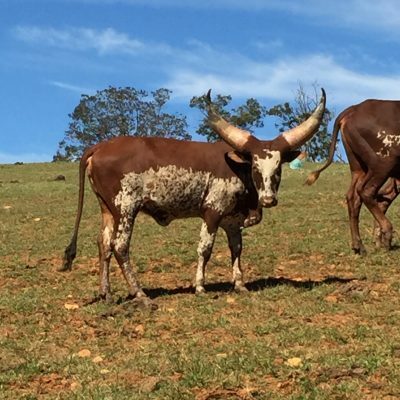 Our farm stewards the largest herd of Watusi cattle outside of Africa. Lineage and specific information for each animal are easily accessible though Dr. King’s Farms easy-to-use online tool. 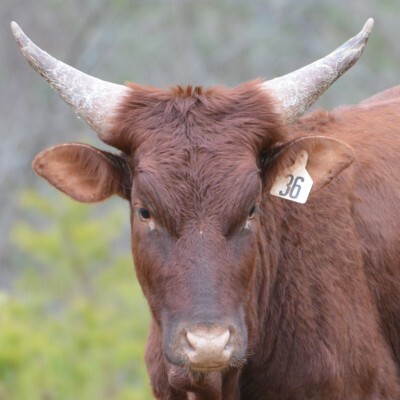 Search for the next magnificent member of your herd today, and feel free to reach out to us with any questions. 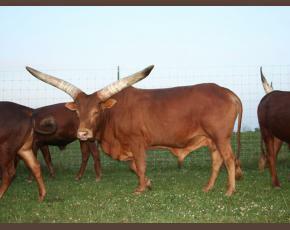 *Dr. King is still researching the benefits of Watusi milk, so it is not ready for market yet.